Husband accused of sitting on wife, then threatening her with a knife — The Worthington Times. An Owensburg man is accused of sitting on his wife while trying to take her cell phone away last Sunday, then threatening her with a knife. 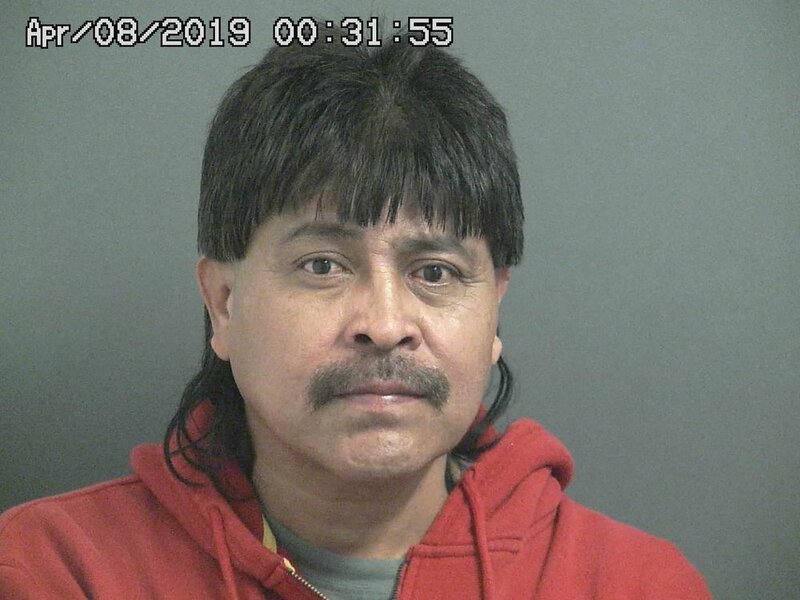 Jose Guadalupe Munoz, 49, Owensburg, was arrested last Sunday, April 7, by Indiana State Police Trooper Nicholas Bartalone after Trooper Bartalone and Deputy Davis Aerne of the Greene County Sheriff’s Department responded to a domestic incident around 9:30 Sunday evening. Both officers were on duty when they were dispatched to a residence on South Wine Street in Owensburg after a woman reported Munoz was drunk and had threatened her with a knife. Both the woman and Munoz were standing in the driveway of the residence when the officers arrived on scene. Trooper Bartalone and Deputy Aerne first talked to the woman who told them her husband had been drinking and got upset because she was using her cell phone to talk to her daughter. She alleged Munoz demanded she give him the phone and when she said she would show it to him later, he pushed her onto the couch and sat on her while he tried to take it away. According to a probable cause document, the woman said Munoz then grabbed a knife out of the kitchen, held it up near his shoulder and told her she was going to listen to what he was telling her to do. He allegedly then took the house phone away from her but she got outside, locked herself in her vehicle and called 911 from her cell phone. Trooper Bartalone and Deputy Aerne then talked to Munoz who also said the two had gotten into an argument because she would not let him see her phone. He denied sitting on her. He also denied brandishing the knife but he did admit that he took the house phone away to stop her from calling police. Munoz was taken into custody around 10 p.m. and transported to the Greene County Sheriff’s Department where he was booked in with bond set at $15,000 surety with ten percent cash allowed. As of mid-day Wednesday, he had not yet posted bond and remained in jail. Interference with the reporting of a crime, a Class A misdemeanor.